Eighteenth century silhouettes of children are relatively rare and tend to be rather distinctive, as indeed this miniature example is. 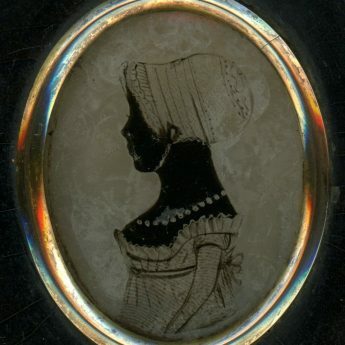 Reverse painted on lightly convex glass, the profile shows a child in a wide-shouldered dress, the neckline edged with a stiff frill, a beaded necklace, and a lace cap tied under the chin. The face and neck are rendered in true black whilst the body is painted in transparent brown with a black outline. 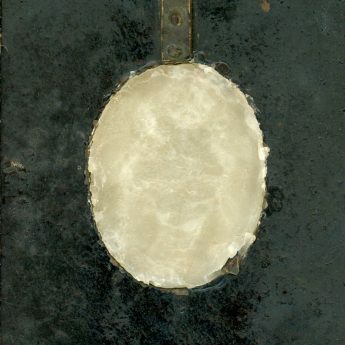 Finger-printing (where the artist’s finger has literally been pressed into the wet paint) has been used to add further texture. These are all the documented stylistic traits associated with the work of Mrs Elizabeth Hudson (fl. 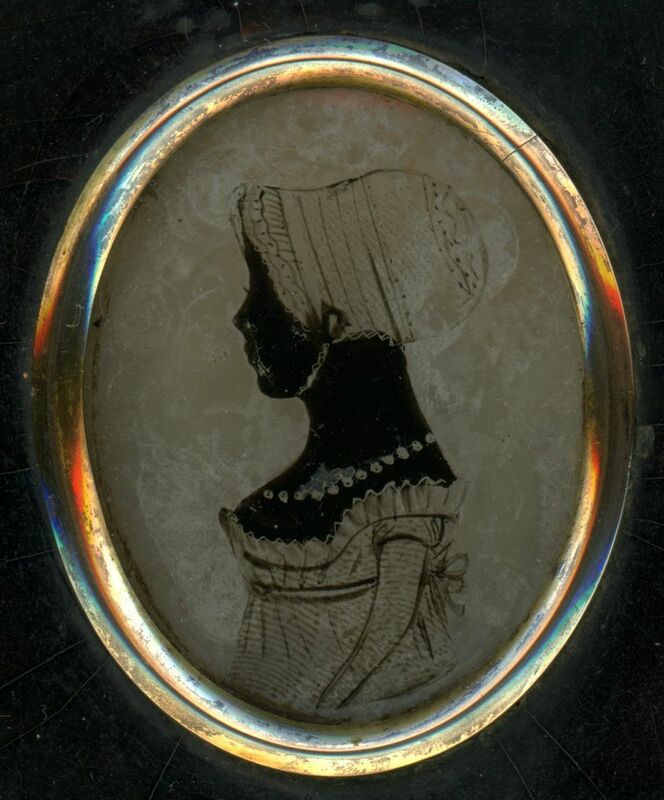 1783-1802) so, although the silhouette is unlabelled, it can be firmly attributed to her hand. The silhouette is backed with wax and is housed in the original papier-mâché frame with a brass surround and an emblems (rose, thistle and shamrock) hanger. The frame is a little distressed with craquelure and corner chipping. 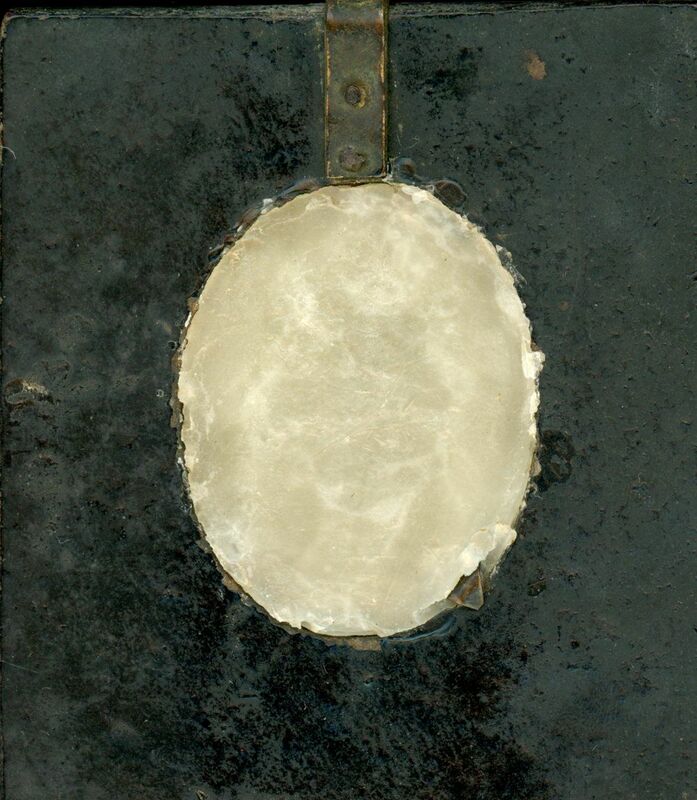 The back is uncovered so the light is able to stream through the wax to achieve a wonderfully translucent effect. 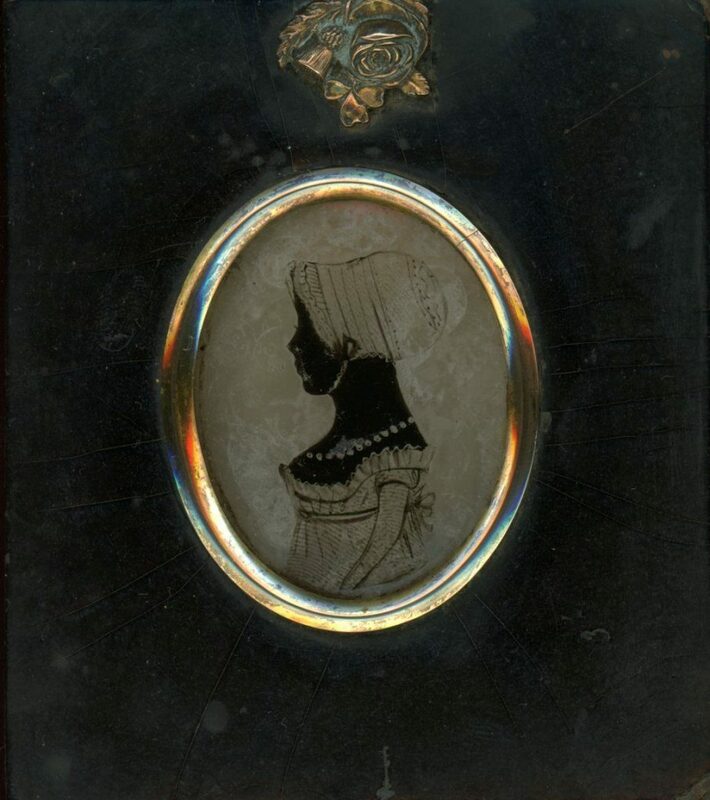 The daughter of Henry Chilcot, a jeweller working in the popular spa town of Bath, Elizabeth specialised initially in hairwork arrangements for portrait miniatures and in wax profiles only later turning to silhouette portraiture.